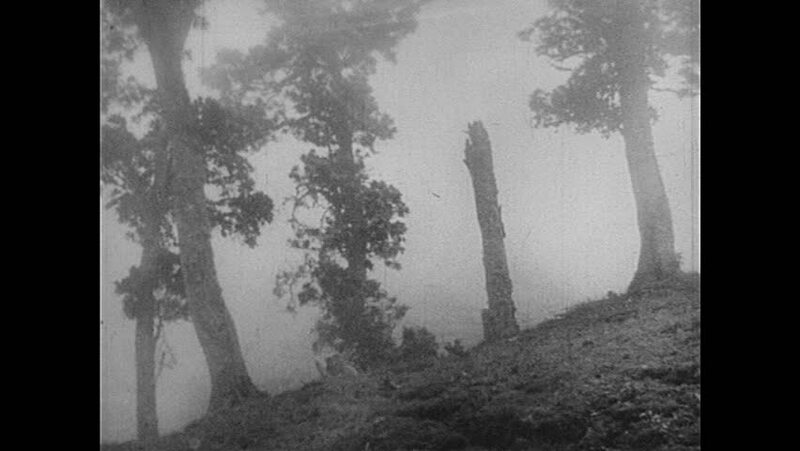 1940s: Mist creeps around trees on hill. Mist covered hills. Buildings in valley with large mountain above. hd00:12The Green River rapids roars thru Nairn Falls Provincial Park in British Columbia, Canada. hd00:261940s: Steam shovel drops dirt into dump truck, scoops more dirt. hd02:261960s: Classic cold war 1964 film instructs soldiers what to do in the event of a poison gas chemical warfare attack in battle. hd00:211950s: Boy skips rocks in lake. Queen Elizabeth and Prince Philip exit plane. President Eisenhower speaks to men. Capsized cruise ship. Men and representatives meet in large board room. hd01:14CIRCA 1950 - Battlefield footage from the Korean War.